RCV Engines is a specialised manufacturer of small multi-fuel engines for unmanned aerial vehicles (UAVs). 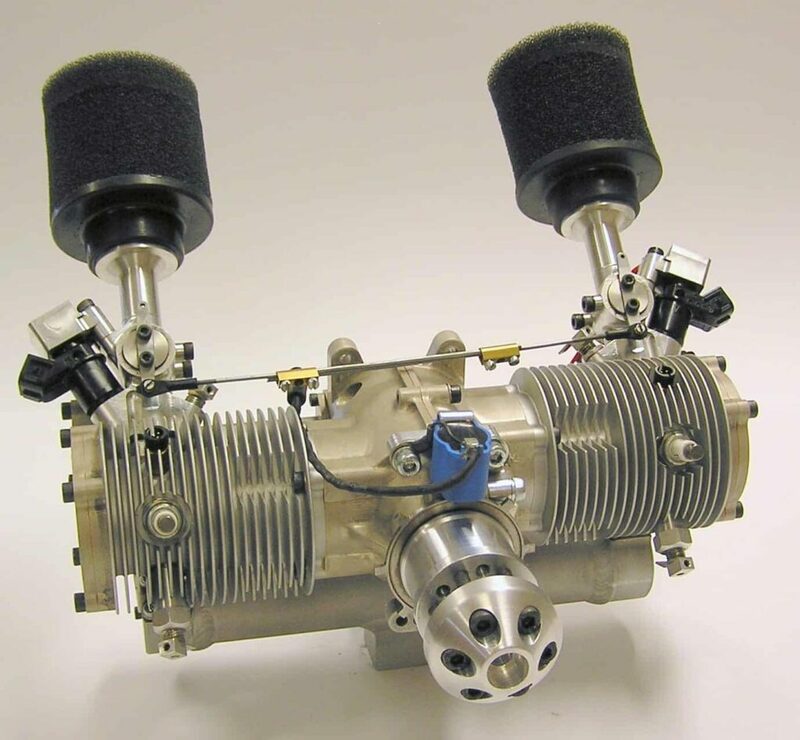 RCV’s patented revolving valve combustion system provides high fuel efficiency and low emissions, and delivers an excellent power-to-weight, making it ideal for small fixed-wing UAVs, VTOL multi-rotor UASs and hybrid/power generation applications. Offering distinct advantages when operating on heavy fuels over other technologies; our engines can run on gasoline or heavy fuel (Jet-A1, JP5, JP8), as well as diesel under controlled conditions. RCV’s UAV engines are easy to calibrate and provide consistent performance over a wide range of ambient conditions. 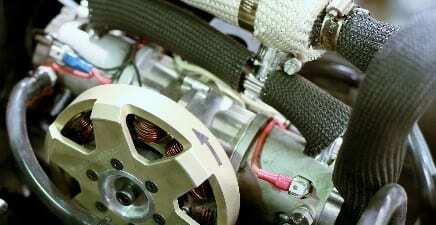 RCV UAV engines are supplied complete with exhaust, fueling system, ECU and generator mounts. Muffler and airbox designs for low acoustic signature. The DF70 is a high-performance 4-stroke twin-cylinder UAV engine designed to military specifications for the aerospace market. Suitable for both VTOL and fixed-wing unmanned aircraft, the engine offers superior fuel economy, quiet running and excellent starting reliability. With a capacity of 70cc and a power output of 4.2kW, the DF70 also features a boxer configuration for minimal vibration, as well as rotation options for either pusher or tractor configurations. A “limp home” mode offers the ability to run the engine on just one cylinder. The DF35 is a single-cylinder version of the DF70 with a capacity of 35cc and a power output of 2.2kW. Featuring a reduced footprint for small unmanned aircraft applications, the DF35 can be used as a direct replacement for existing 2-stroke engines, providing upgrades in reliability, quality and multi-fuel operation. 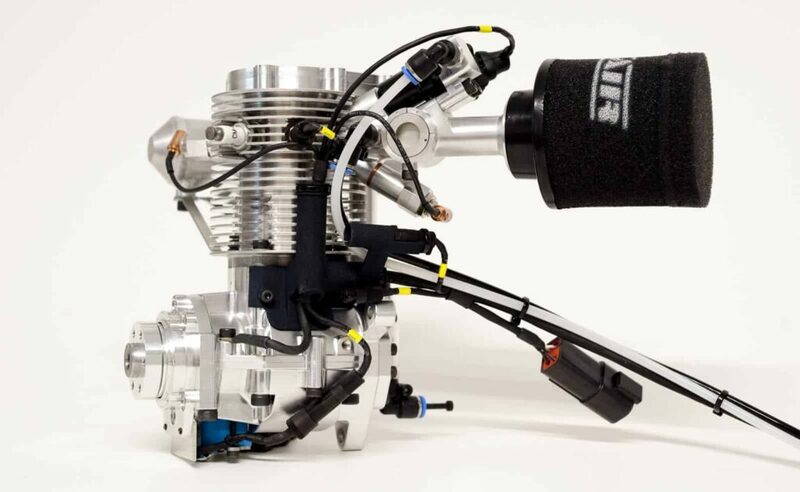 Our proven process for UAV engine design, development and manufacture can provide you with solutions to meet your engine requirements, based on our unique revolving valve combustion system technology. Our experienced engineers can work with your development team or provide a complete custom solution that encompasses requirements review and prototyping, through to production supply. Engines can either be manufactured/supplied by RCV, or by the customer under a licensing agreement. 3D CAD data can be made available for installation studies. 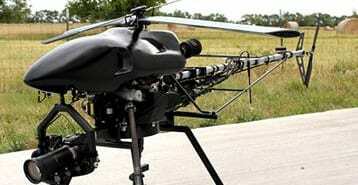 Please get in touch to discuss your requirements for custom UAV engine solutions. By submitting this form, you consent for your details to be sent to RCV Engines and its authorized partners in order to respond to your inquiry. Depending on the location of the organization, your personal information may be transferred and processed outside of the European Economic Area.